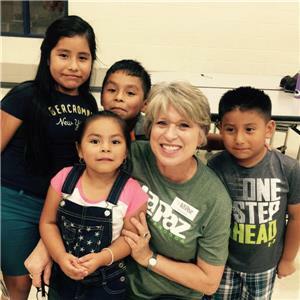 La Paz Chattanooga helped recruit and train over 75 bilingual volunteers to work with 14 Hamilton County public schools during the county-wide school registration day. Volunteers requested time off from their employers to help Chattanooga's Latino and Hispanic students enroll in school for the upcoming academic year. "It's committed community partners like La Paz that go above and beyond to support our students and their families that will improve access and outcomes across Hamilton County," said Jared Bigham, executive director of Chattanooga 2.0. Bilingual services are key in helping educators and students succeed, said officials. A recent survey conducted by La Paz found that educators and students in Hamilton County need greater access to culturally relevant services such as bilingual translation and interpretation services. Interpreters are needed at conferences, during school registration days and in general communications to families. These services allow parents to become active participants in their child’s education by helping them understand their child's academic needs. Additionally, with additional training and support, teachers would be able to provide information on student academic progress and performance. 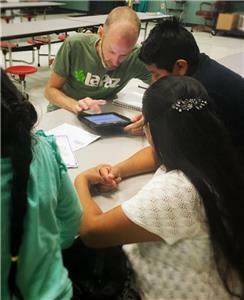 "The local Latino community is constantly seeking opportunities to learn English, but for many local Latino residents, their English proficiency is not yet good enough for them to fill out the paperwork on their own," explains Patrick Miles, La Paz Chattanooga's director of Community Engagement. "The process of filling out the mountain of papers required at school registration can be challenging for a native English speaker. So, for our Spanish speaking families, this process can be daunting. Just a little bit of assistance from caring community members goes a long way to show our city's collective efforts to help students in our area develop." For more information regarding La Paz's community outreach efforts , please contact Patrick Miles, La Paz's director of Community Engagement and Administration, at pm@lapazchattanooga.org or call the La Paz office at 624-8414.